Australind is a 1600H property situated 30ks south of Goulburn which traditionally was a self replacing Superfine Merino property. I now run a grazing enterprise of 107 Breeder Angus cattle and 500 Australian White/Dorper sheep and started HM grazing in September 2014 using The Graziers Dashboard Program. Holistic Management to me is all about balance of the land where I belong, my health, wealth and happiness. Australind ranges from very light sodic soil where erosion was a major problem, to more productive native grasslands with introduced pasture species. I have been working on restoration of the landscape since 2008 with earth works, water retention structures and direct drilling of native trees and shrubs. I use organic fertilizers, minimal herbicides and have started pasture cropping as an aid to build fertile pasture. My focus is to build healthy, vibrant soils, 100% ground cover with diverse pasture species, clean water, adequate shelter for domestic and wild animals and healthy stock. I aim to reinstate the natural wetlands and create a haven for all life that resides here. 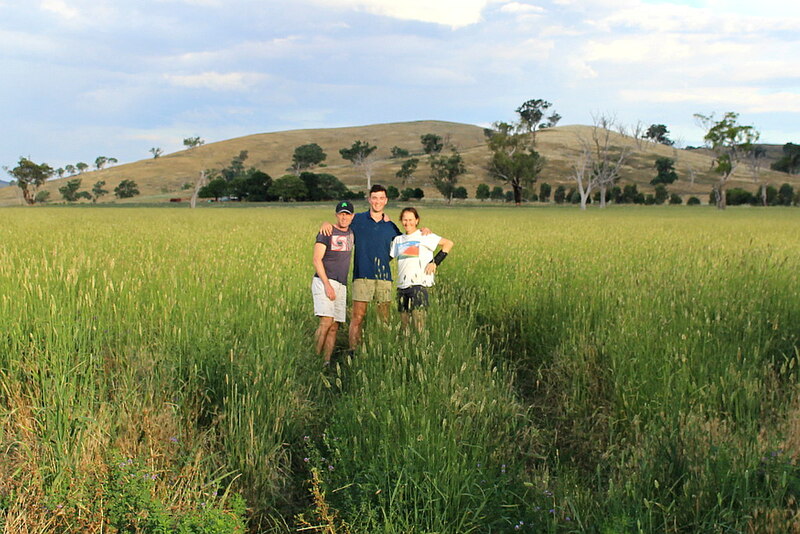 Bibbaringa is 950 hectares North of Albury in Southern NSW and runs between 300 and 500 cows or finishing cattle on native and improved grasslands. I have been practicing the principals of Holistic Management since 1993, and have used them to develop Bibbaringa since 2007. It now has over 60 paddocks, and I have revegetated 20% of the property with native vegetation and planted over 60,000 trees. I have applied the principals of Natural Sequence Farming to slow the flow of water through the landscape and get the water back into the floodplains. The focus at Bibbaringa is to build soil and have 100% ground cover throughout the year. Brightside Produce is a market garden situated on 128 acres and located in the Tinderry mountains between Canberra and Cooma. We have just 1/3 of an acre under cultivation for vegetable growing, with the remainder of the property used for agisting cattle and running 200 laying hens which we manage holistically. We grow around 40 different types of vegetables using organic principles, and have recently started incorporating biodynamic preparations into our growing practice. We market all of our produce directly into the Canberra region to restaurants, farmers markets and through a small produce box subscription. The market garden and laying hens are the main source of income for the property and with this income we hope to be able to incorporate a grazing enterprise in the future. 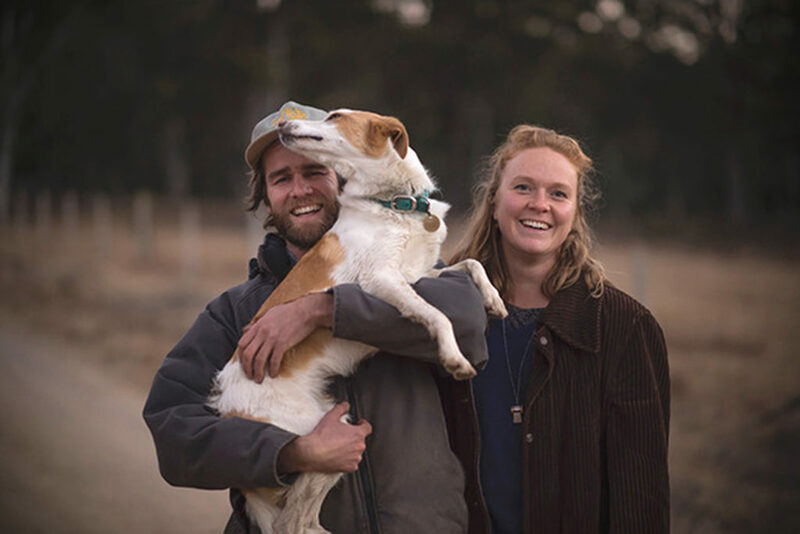 Erika Watson and Hayden Druce are first generation young farmers, and owners of Epicurean Harvest, growing organic vegetables for Sydney restaurants on 2.5 acres of their 120-acre farm, Bula Mirri. Bula Mirri is located on Wiradjuri Country, Hartley, NSW, bordering the Blue Mountains and Central West. They currently manage a no till, beyond organic standards mixed vegetable market garden and supply high-quality unique produce to fine dining restaurants in Sydney. They also grow and manage a small herd of Belted Galloway for beef, and incorporate poultry into rotations, monitoring land and garden for ecological improvement. Bula Mirri is dedicated to regenerative and collaborative practices to provide people with connection to land, provenance, culture and food. Erika and Hayden have a diploma of Holistic Management, Hons in Bachelor of Horticultural Science and backgrounds in art and music. Currently they are also collaborating with art body KSCA, in a cross disciplinary project with Artists, Farmers and Scientists. Cargo Road Winery is 11 km west of Orange. My passion is to produce wines that are balanced, aromatic, robust, complex and truly express our environment. To make good wine you must have good grapes, but we have an extreme shortage of water here so looking after the soil has been our mission since 1987. After 20 years of regenerative agriculture the pH of our soil has moved from 4.5 to 7.0 pH, and the organic matter from 0.9% to 4.0%. I don’t mow the grass in the vineyard as it offers shade for the soil, decreases evapotranspiration, stops storm impact and provides mulch and organic matter. I now have a grazing plan where the sheep are holistically grazed through the vineyard from post-harvest to spring, then used to leaf pluck in summer. We have 80 breeding Merino ewes, 3 Poll Dorset rams and 80 lambs, 40,000 grape vines and 400 cherry trees, as well as seven species of dung beetles, 24 beehives, quince trees, fig trees and four species of eucalypt that are naturally regenerating the property. My passion is Regenerative Agriculture with an emphasis on soil health to produce nutrient dense food. Although I grew up on the family farm and have always been interested in environmental issues, my career has been in the arts. Since late 2012 I have been running Clarevale, a 465ha holistic carbon farm, 4km east of Braidwood. On Clarevale I grow garlic and run an Angus breeding herd which, to date, has been my principle tool (grazing management) to restore soil health and improve plant biodiversity. I also use natural sequence farming, biodynamics, avoid chemicals, and embrace no-till farming. 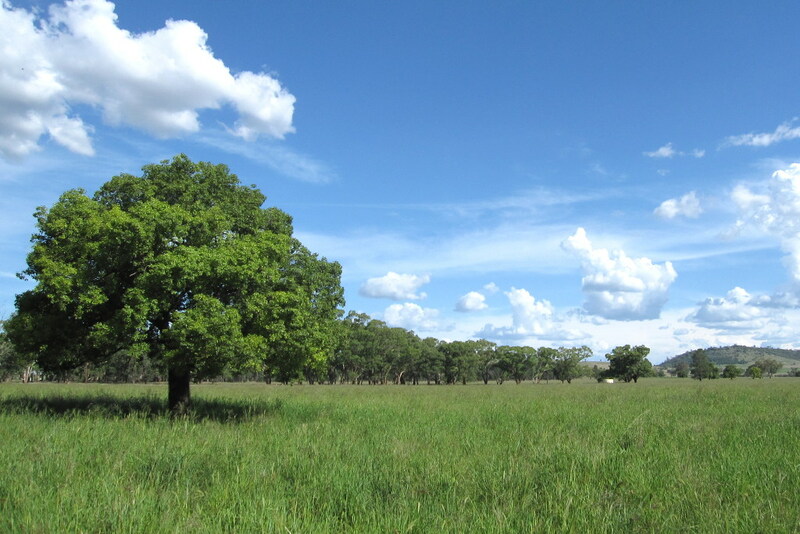 Clarevale now has twice as many paddocks, a reticulated water system providing clean water to most of the property and 14,000 more trees. I am involved with my local Landcare, participating in the RCS Soil Health Trials and currently on the reference group for Australian Holistic Management Cooperative Project. Looking below the surface is the commonality between my art and farming practices. Deep Creek Organics at Tent Rock, 100km South of Adelaide on the Fleurieu Peninsula, is not just our business location and our home but also our passion. 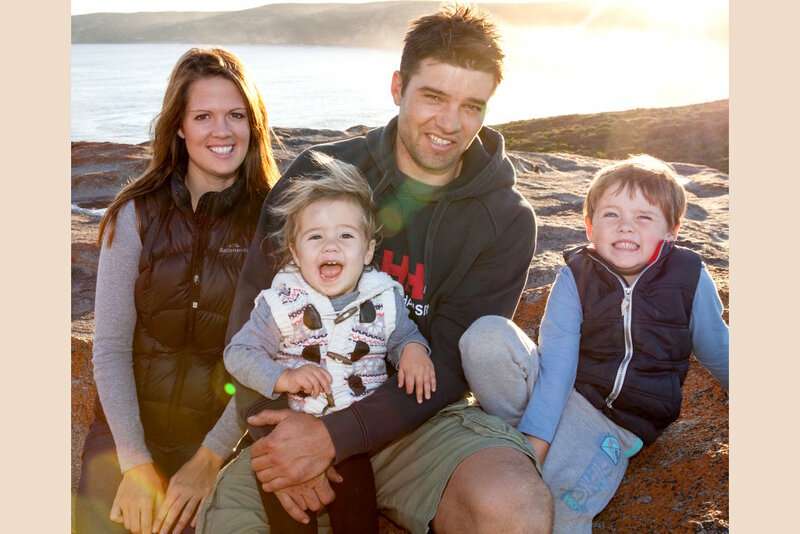 Julianne and Ben Ryan with their three boys Lachlan, Mackenzie and Angus live in one of the most beautiful places in South Australia. With several generations of farming behind them, Ben's parents moved to Deep Creek in 1964, producing beef and lamb as we do now, but the way we do it has changed dramatically over the last 20 years. Our focus has shifted from being beef and lamb producers to making every effort to become regenerative nutritional food producers, using organic principles. We run 600 ha of grazing country that is divided into about 140 paddocks, and also manage another 120 ha of scrub, creeks and swamps. Our management is aimed at enhancing the environment we live in, and we hope this system will be judged favourably by generations that follow. Free Range Berkshire pigs now forage with the sheep and cattle in the hope that this adds good biodiversity to the land and business. Continual experimentation, growing garlic, fruit and nuts along with fodder trees and shrubs ensures we always have a challenge. Sharing our passion and being able continually develop our understanding of what it means to be regenerative and ecologically aware is very exciting. We own and holistically manage Dunblane Farm, which is a 630 acre grazing property in the Bega Valley where we breed beef cattle and prime lambs. Our goal is to use "regenerative land management practices that improve soil function, agricultural production, biodiversity, food quality and carbon sequestration" (Dr Christine Jones PhD). We aim to maintain a 100% ground cover with green growing biodiverse grasses twelve months out of twelve. When I graduated from medical school in 1973, many of the commonly seen illnesses of today, were relatively rare conditions then. Evidence increasingly suggests that the genesis of many of these common diseases might be linked to poor diet and nutrition. We believe that regenerated soils can produce biodiverse pastures, which will improve animal and hopefully human health. Land to Market gives consumers the choice to purchase food they know comes from a traceable source, which can provide them with the opportunity to influence their health and well-being. 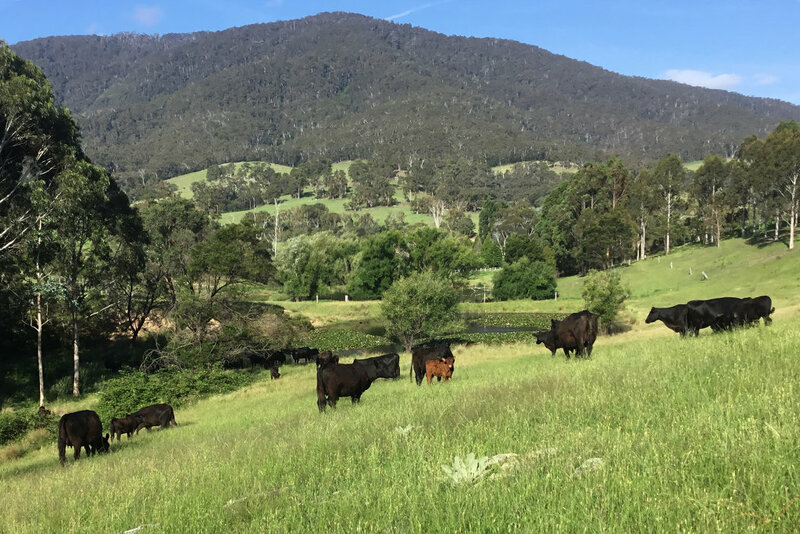 Located at 1400m on the Ben Lomond range in the New England region of NSW, Fir Trees is a 45 Ha beef cattle enterprise with an on farm training facility. 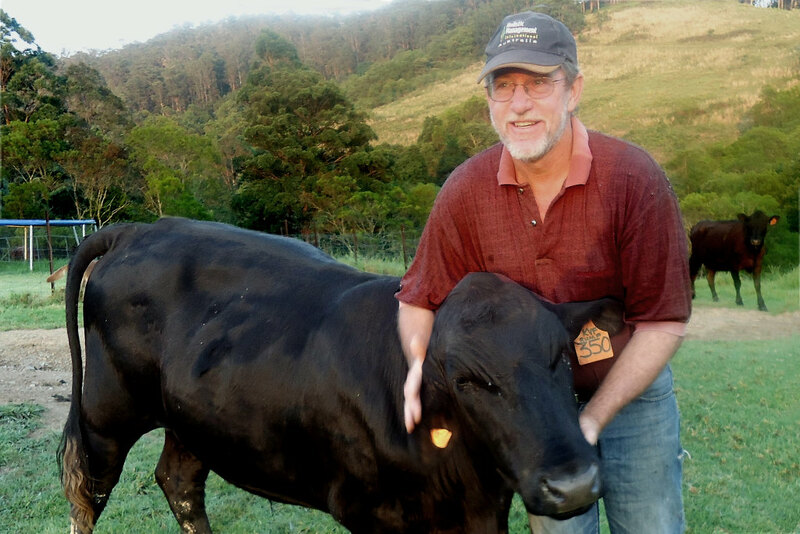 Brian has been a Holistic Management educator since 1995, enjoying his education and support activities Australia wide plus international work for the Savory Institute and TAFE. Previous commercial-scale properties owned and managed were near Warren, Breeza, Nundle and Guyra, NSW. Enterprises have included irrigated and dry land grain, hay and saltbush, beef cattle and merino sheep & wool. Brian started marketing his own beef in 1981 and continued until 1995 with custom kill and processing in Gunnedah and home delivery to Sydney. He has since encouraged others into direct marketing, from beef and lamb to eggs, and is excited by the opportunities of this group to promote the Land to Market program. Mike has over 20 years experience in managing rural properties in such areas as broad acre farming, beef and sheep production, viticulture, irrigation and organic farming. He has over 13 years managing agricultural enterprises using holistic management, and developed several properties that were certified organic beef operations. For the past 12 years he has worked as an educator, facilitator and advisor for Resource Consulting Services (RCS). He also has a very keen interest in human health and the role agriculture plays in this. For past 12 years Mike and his wife Kathy have operated a successful health food store, Dubbo Health Food, and creating awareness about how and where our food comes from. 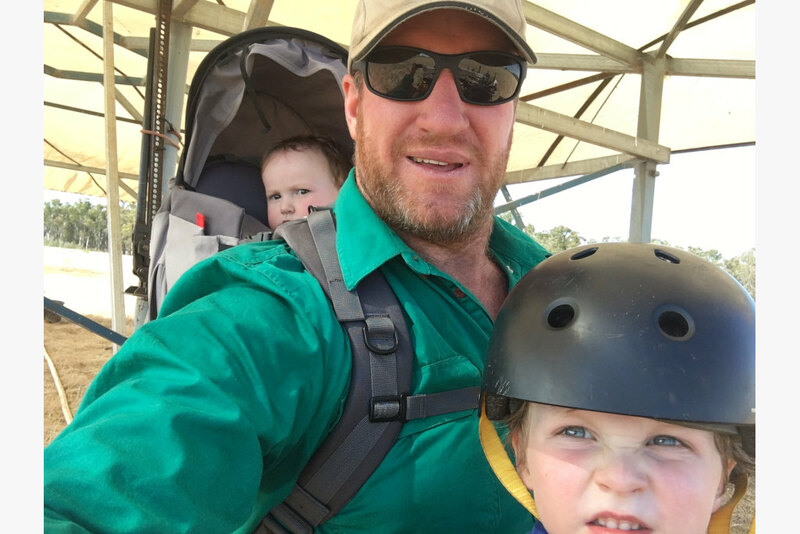 Mike is also Treasurer for Healthy Soils Australia (HSA), which is a public not for profit company with a national outlook, and an inclusive focus to build a network of awareness about healthy soil and its connection to human health. 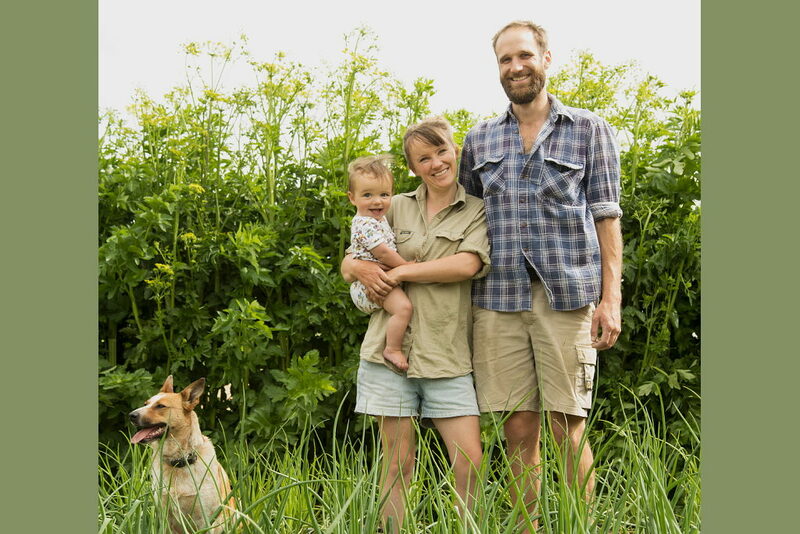 'Fresh Pastures' produce is grown on Glenroy, a 400 hectare property owned by Ian and Sharon Chapman, located at Store Creek, a scenic 40 minute drive north of Orange. At Glenroy, we love producing excellent pastured products such as beef and pork in a regenerative way, which is great for the animals too. Fresh pasture and clean water is provided constantly and all stock are handled using stress-free techniques. 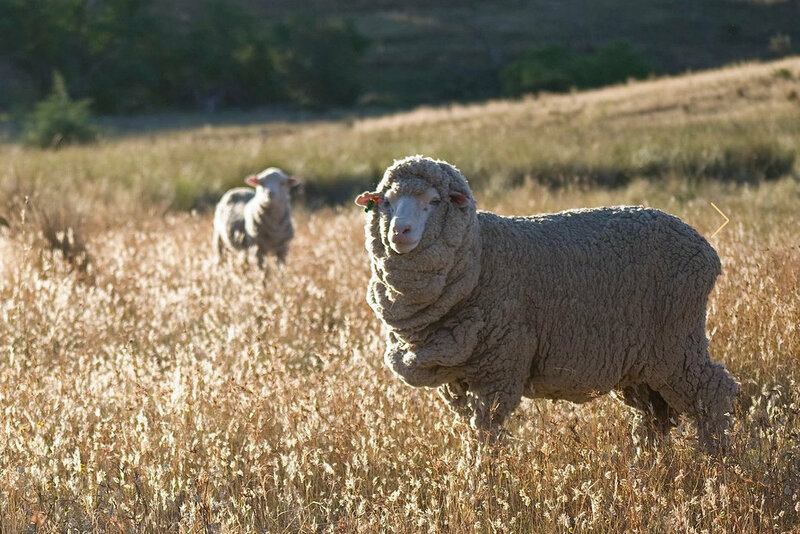 Ever since John Sevil obtained a license to 'Depasture Stock on the Liverpool Plains' in 1837, the Sevil family have been grazing Merinos in the North and North West of NSW. On 725 Ha I run 2000 SRS Merinos producing beautiful bright 17 micron wool. The wether portion is sold as prime lamb. I am passionate about carrying on the tradition of breeding Merinos. I am passionate about the land I occupy and endevour, through Holistic Management, to nurture the land so it remains productive and balanced for generations to come. Illalangi is our home on the hill. Situated on the eastern side of the Great Dividing Range at Mt Fairy, the 100 acres is largely native pasture with a few treasured native forest enclaves. 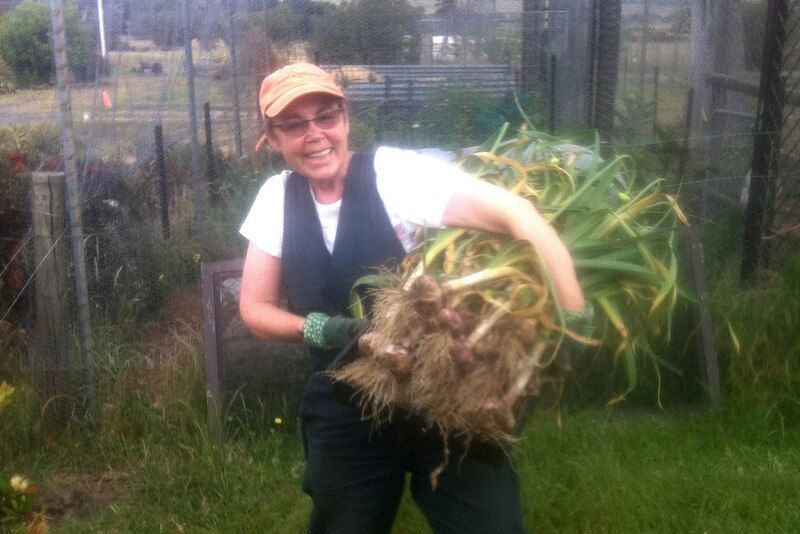 We run a cattle trading enterprise and grow garlic to sell and give away to our family and friends. Our chooks give us eggs and manure. Our fruit trees are for us and sharing. Before we moved here in 2009, the land was degraded from the millennial drought and years of sheep farming. Now we are using Holistic Management principles to build biodiversity and soil fertility. 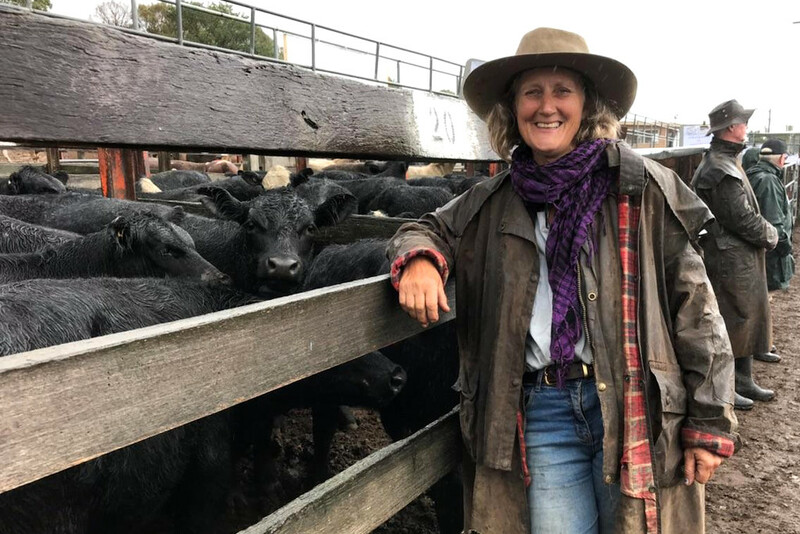 I am a fifth generation beef cattle farmer from Braidwood, NSW who runs Jillamatong Beef as a regenerative farmer, where I use holistic management, natural sequence farming, biodynamics and permaculture to build soil carbon and biodiversity. I manage my cattle on 1600 hectares as a commercially profitable and regenerative venture, and avoid chemicals, embrace no-till farming and am passionate about working with nature to build farm resilience. I am the Chair of Upper Shoalhaven Landcare Council, a Council Member with NSW Landcare, a founding member of the Natural Sequence Farming Association, and involved with Farmers for Climate Action. Jillamatong farm has also been featured as a case study for Soils for Life. 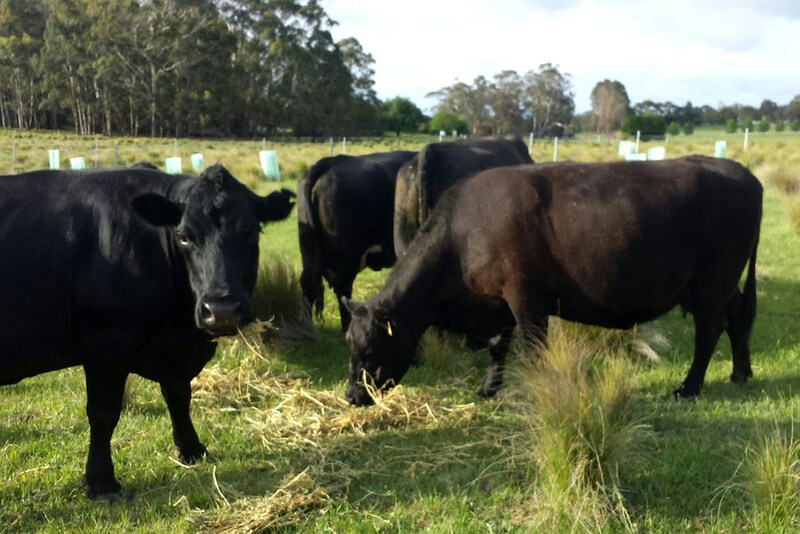 At Kindee Valley Farm we raise beef cattle at the same time as sequestering carbon in our soils. Our cattle are moved onto fresh pasture regularly, guided by our grazing plan, developed using the principles of Holistic Management. We have value-added to our cattle enterprise, selling grass fed beef directly to households and through Farmer Markets, as well as pasture raised eggs and pasture raised pork. Brian also teaches Holistic Management courses across Australia. I own and operate Landlife Education Pty Ltd, a business dedicated to educating and mentoring farmers, land managers and small businesses people in the process of managing holistically. I have been teaching holistic management since 2002 and have been a certified holistic management educator since 2005. I am recognized and endorsed by both Savory Institute and Holistic Management international. My wife and I also own and operate a small beef cattle herd, from which we market our animals conventionally as live animals and direct market as table ready beef. Macquariedale is a 145 acre farm located 25 kilometres south east of Braidwood at the end of the scenic Reidsdale valley. Since the closure of the local cooperative cheese factory the former dairy farm has been managed as a cattle grazing property. I raise beef cattle at Macquariedale using cattle as a grazing tool, in line with holistic management principles. I have subdivided the property into 15 paddocks, and planted several tree lanes to provide shelter and increase environmental and aesthetic values. I am focused on building soil fertility and enhancing biodiversity. 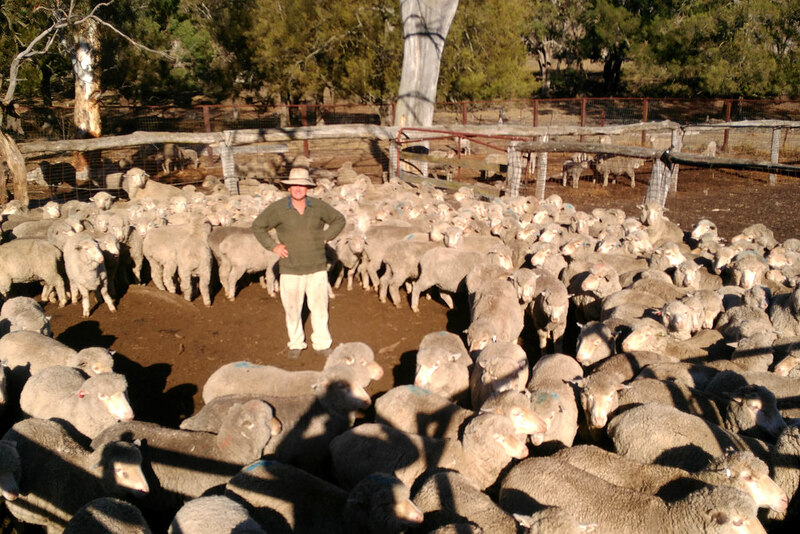 Millpost is a family owned and run, 1100 ha fine wool enterprise on the NSW southern tablelands. The farm is run according to Permaculture and Holistic Management principles. We have recently started direct marketing of our wool as yarn under the brand Millpost Merino. 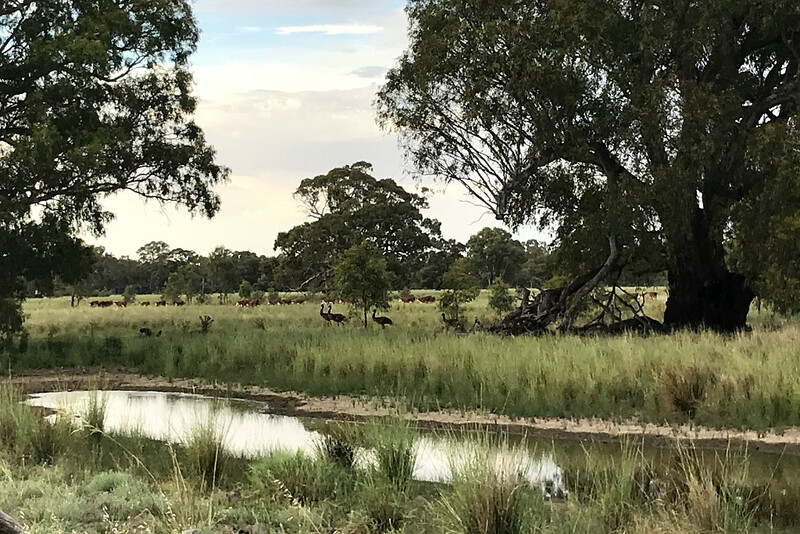 We are focussed on regenerating and enhancing our natural and agricultural ecosystems, through planned grazing and revegetation, whilst producing a high quality, sustainable, biodegradable, valuable fibre. We also produce much of our own food, energy and timber. "Mawarra" is a 1200ha property located in Central Kangaroo Island, South Australia, with an average rainfall of 800mm. 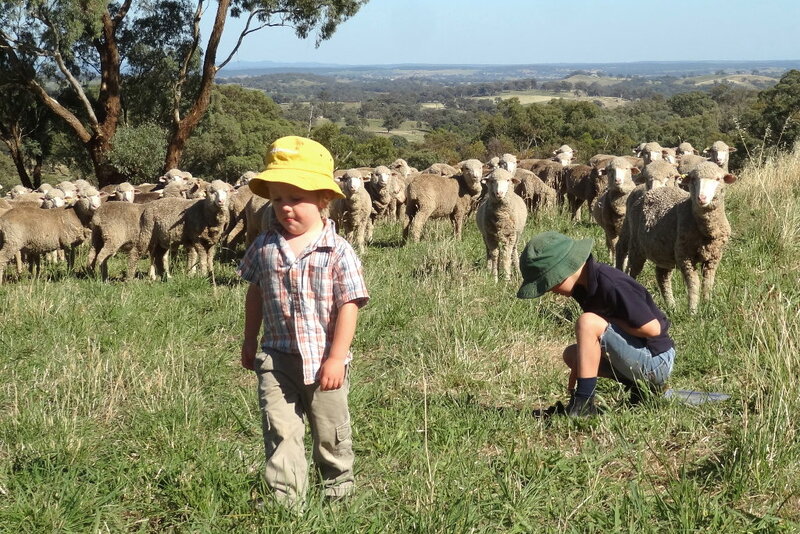 Along with my wife, Becky and 3 children, Jed 7, Indi 5, and Xavier 3, we run approx 6000 breeding ewes for prime lamb production, a 700 head merino fine wool flock and trade angus steers to use as a grazing tool. 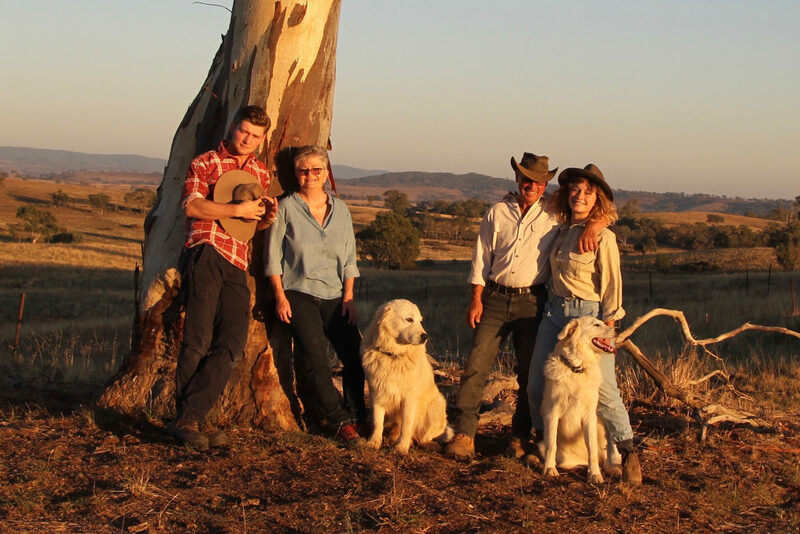 Since becoming graziers in 2010 we had been running our farm pretty much the same as most other farmers, but we didn't feel comfortable doing this and it was not sustainable, and certainly not a good ecological way to treat the land. I am very passionate about holistic/ecological farming and want to be able to show other farmers that it can be done easily and profitable. We are very excited to be a part of this amazing program and work with other farmers who want to bring about change. Mundarlo is a 1350 ha property in Southern NSW on the Murrumbidgee River between Wagga Wagga and Gundagai. It has been in the Austin family since the 1940s. Each generational change has brought its own management. 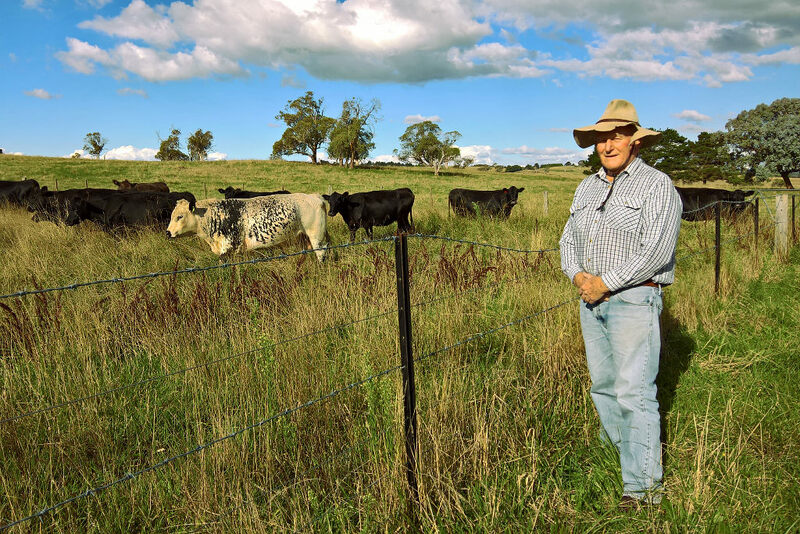 Mundarlo has gone from a sheep only operation, to a mixed farming operation and finally where it is today, a Holistically Managed beef cattle operation. Nick and Deanna Austin want a profitable business that not only supports their family but also regenerates the landscape. Moreover, they want to run happy cows, eating a biodiverse, grassland diet to produce highly nutritious beef. Old Man Creek is a beef cattle stud currently running Black Angus cattle, with the specific aim to breed bulls that have been raised their entire lives on grass, under a planned Holistic management grazing. Our goal is to produce animals whose progeny will best suit the Australian domestic butcher market, that are efficient and profitable, whilst being a tool to aid regenerating our and our client’s landscapes. 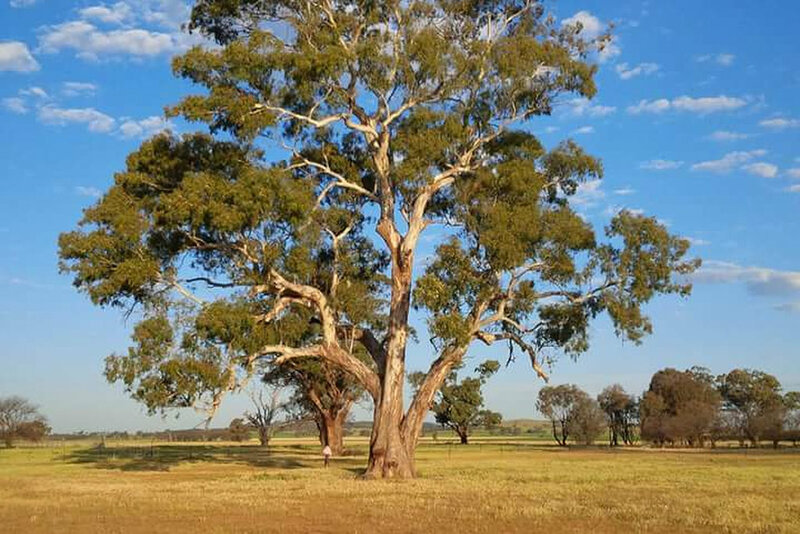 Our property Willowlee is located halfway between Wagga Wagga and Narrandera in the Riverina. We have been practicing Holistic Management since our initial training with Bruce Ward in 2010. In that time, we have seen a transformation in our landscape function, quality of life and farm profitability. 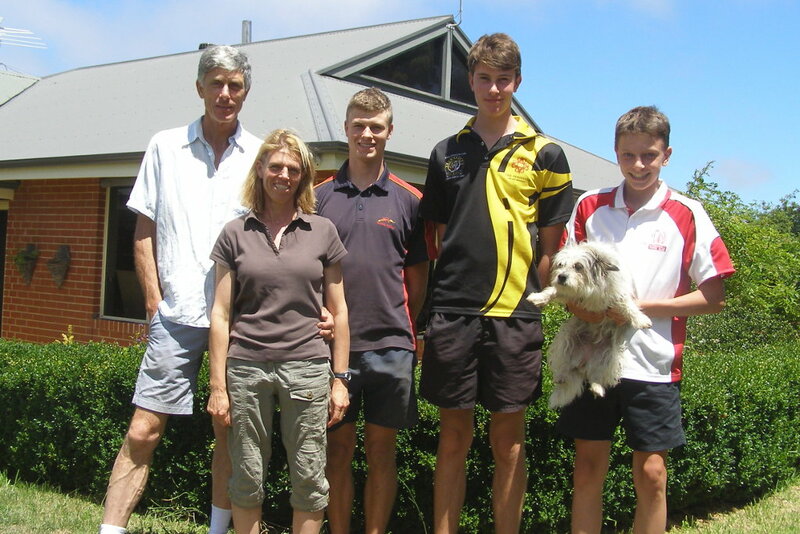 We are a family business based on properties west of Cootamundra in Wiradjuri Country. We aim to produce quality food and fibre while improving landscape function and ecological outcomes. "Retreat" has been in our family since the early 1900s while "Treetops" has been our home base since the 1970s. We are working to increase productivity on both places by implementing grazing management strategies that aim to increase native perennial grass species and thus increase resilience in the face of more erratic weather events. We have recently shifted away from traditional cropping to a purely grazing enterprise, although in time we will revisit cropping either using pasture cropping techniques or perennial grains. We are an irrigated mixed cropping enterprises located at Ardmona in the heart of the Goulburn Valley, Victoria. We have a real interest in regenerating farm ecosystems through sound decision-making processes. One of the great by-products of high functioning farm ecosystems is food that has superior nutrient density. We produce various types of winter and summer grains, and beef. 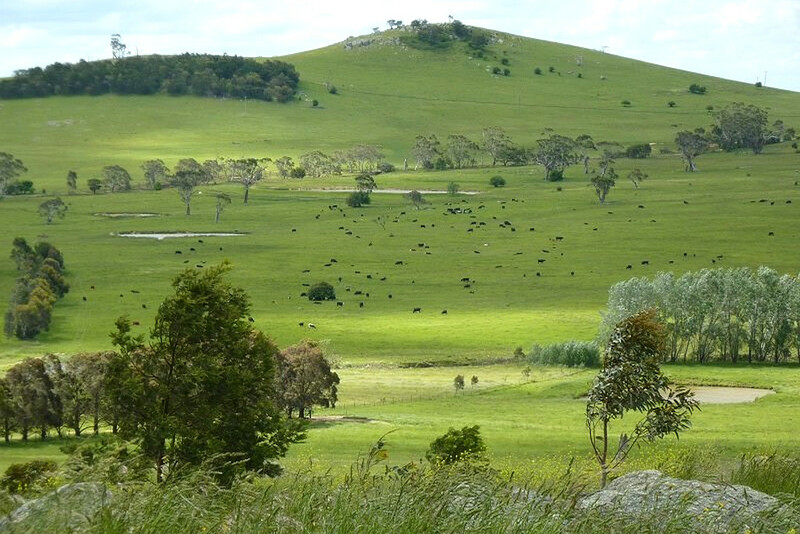 We operate cattle grazing properties in southern New South Wales under Holistic Management principles. We have a self-replacing beef breeding herd, and we have been doing this for nearly 20 years. We chose Holistic Management to make our land more resilient and more bio-diverse, and to make our cattle healthier on the hoof, and for the consumer on the hook. We believe that, through monitoring, our land is improving and our business is more profitable. We aim to leave our ground 100% covered 100% of the time, and to leave a legacy for future generations. Our family farming business practices a conscious approach to food production; that our farm and landscape might help to build a healthy community in which to live and thrive. We farm to produce food for those who care about what they put in their mouths. Holistic Management principles guide us as we do our bit to regenerate the land and soils on our farm on the beautiful Liverpool Plains of NSW. We produce chemical free, 100% grassfed and finished beef from animals that graze on diverse, perennial pastures. We also produce chemical free olive oil and we market our products under the brand 'The Conscious Farmer'. I have a landscape design business based in Sydney and I am interested in venture that effects positive change to our future quality of life. I believe that the values of good will, open-mindedness and honesty are paramount to successful outcomes. The ‘Desired Outcome’ (context) is to be well expressed, broad and impartial towards all forms of production and is highly compatible with our personal holistic context. This should be about direction as opposed to time. I want to support people and organisations who are practising sound decision making processes that aim us towards an increasingly healthy future social, economic and physical landscape. This involves the ongoing 'Testing' of our decisions against our context and learning how to think, as opposed to what to think. The focus of our holistically managed farm is the humane production of wholesome food. 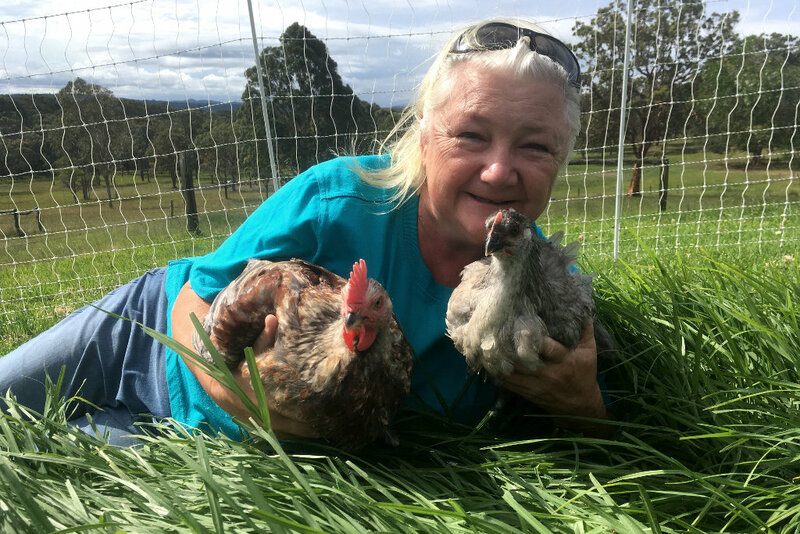 Our alpacas and chickens live on open green pasture, drink fresh rain water, play in dust baths, eat grass and Australian Certified Organic Feed. We regularly move our caravans so that our chickens are always on fresh grass, which also improves the biodiversity of our soil. Our customers appreciate our commitment to the welfare of our animals with less than 1500 chickens per hectare (the National Model code). As licensees of Pasture Raised on Open Fields (PROOF) we promote pasture raised produce as the true free range. 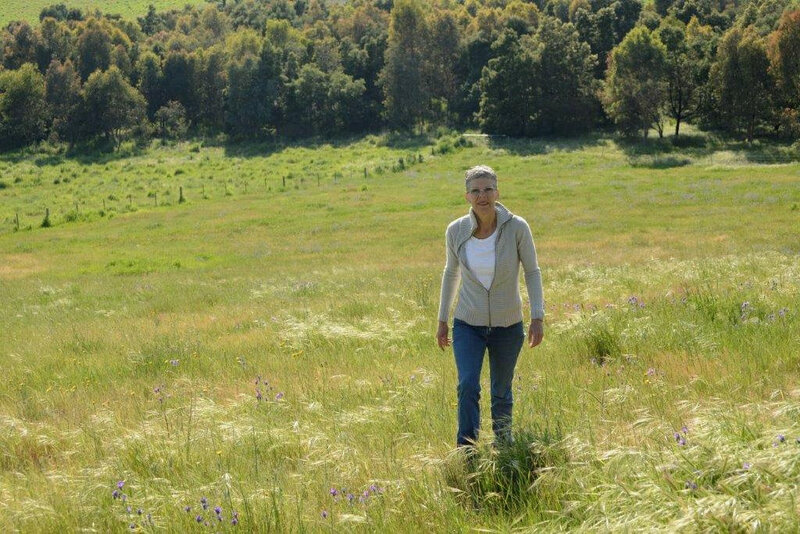 Rebecca Gorman raises beef on Yabtree West near Gundagai in southern NSW using the principles of Holistic Management to focus on regenerating soil and improving the land’s general biodiversity. She uses the tools of planned rotational grazing, extensive tree planting and Natural Sequence farming. The goal is to support happy motivated people to produce healthy and happy grass fed stock. 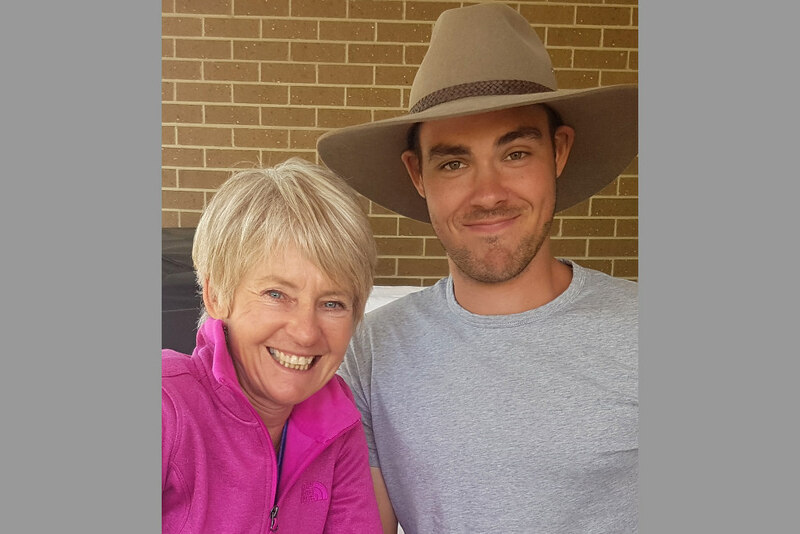 "Since buying Yabtree West I have trained with HM educators Brian Wehlburg and Mark Gardner and met a huge range of wonderful HM practitioners who I think are an incredibly supportive mob. My back ground is journalism and I love the fact that the HM world challenges mindsets and encourages new ideas - it's a great fit."